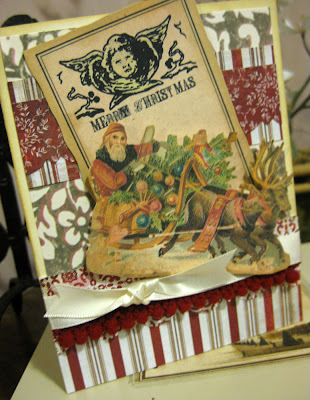 Just wanted to share a little bit of Christmas with you today, vintage Christmas actually. OK- I know summer isn't officially over for a few more days but I am already in the holiday spirit. This is definitely my favorite time of the year, the weather is cooling down and Autumn is right around the corner, which means Halloween will be here soon and then Christmas; my two favorite holidays for family and for crafting. 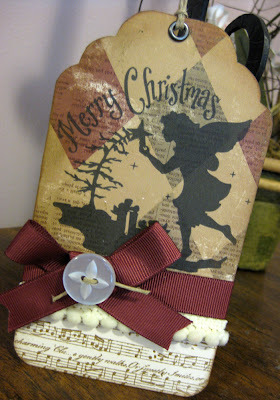 I really love this vintage style, especially for Christmas cards. There is something very nostalgic about it. It reminds me of all those beautiful antique glass Christmas tree ornaments that sparkle so beautifully in the Christmas tree's lights. My mom always has a bunch of those ornaments in her tree, they were actually from her own childhood tree. She's also a big fan of vintage Christmas and even uses some wonderful bubble lights to decorate her tree, because they also remind her of her childhood Christmas'. 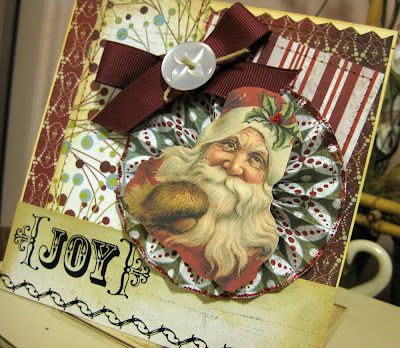 When it comes down to it, that's what Christmas is all about--children and childhood memories. When we have children in our lives Christmas takes on a whole new meaning again and we get to re-live our own wonderful memories of Christmas through the eyes of our children. This past Christmas was exceptionally special for me because I got to experience it through my 2 year old sons excitement and unfaltering belief in Santa. Can't wait for this year again! 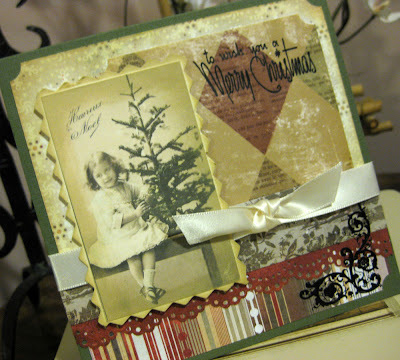 One of my favorite things to do when making vintage inspired cards is to use old photographs. I just love this image of this little lady sitting next to her beautiful Bristol feather Christmas tree. 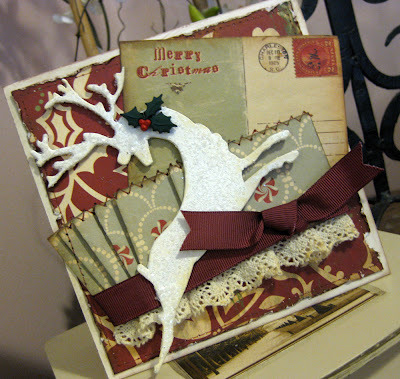 I would love to find one just like it to decorate my own home for the holidays. Maybe then I could snag one of my mom's antique glass ornaments to complete that authentic vintage look. Christmas isn't the only holiday I've been getting ready for, I've also been getting a jump start on Halloween. I've been updating my Halloween shop in my Etsy store, IndigoWings, all week. I would love for you to check it out.